18/07/2014 The fish and chips are absolutely fantastic, made even better by the fact you can order online. Becki Tutt. 21/03/2015 Best haddock and chips I have had for years, can’t think why we havn’t used your excellent take out before. Barbara Seward. 18/04/2014 A+++++ always superb food and service thanks to you all. K Shaw. 14/11/2014 Best fish and chip shop in area from Chichester to Portsmouth! Graham Short. 28/01/2015 Everyone who has had fish and chips with us has said how fabulous they are. Congratulations. Mark Limb. 06/01/2014 My husband said quite sincerely that it was the best bit of fish and chips EVER (he’s 62 years old!) Well done, team! Ingrid and Bob. 11/08/2014 Completely lives up to the great reputation! M Lea. 13/01/2014 Today I have one very happy husband. For the first time in 6 years he has had gluten free battered fish. All the fish tasted wonderful! S.Middleton. 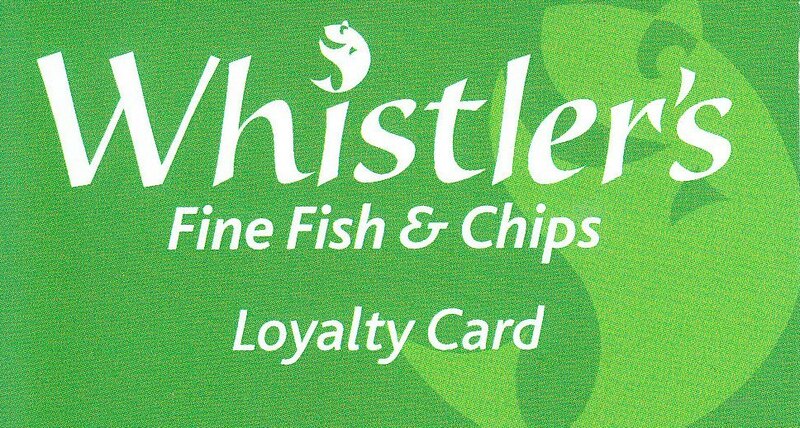 Whistler’s is one of Britain’s best says Waitrose. 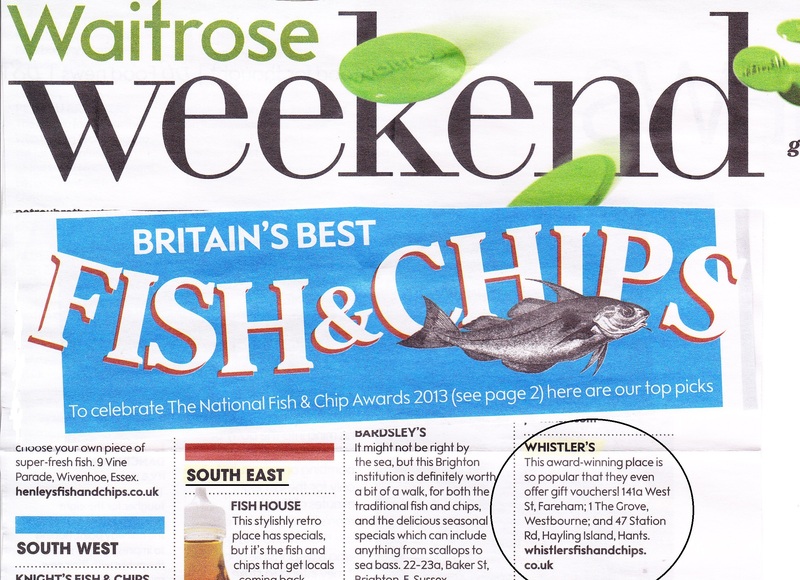 Whistler’s is one of Britain’s best says Waitrose. Thank you to the kind customer that brought in this article to show us! Treat a friend or family member to their favourite meal with a gift voucher to any value of your choice.